$150,000 Great wildlife view and hunting opportunities! Some of Saskatchewan’s most sought-after properties 145 (approx. acres) of hillside valley land located along the beautiful Qu Appelle Valley. 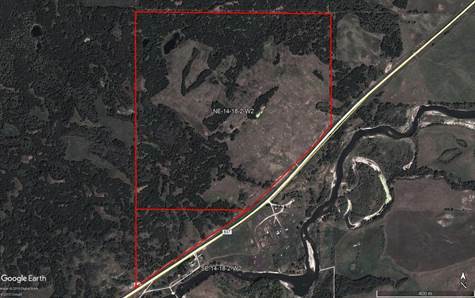 The property is on the north side of the valley with excellent viewing across the river to the south side, located just three miles off of highway #9 just minutes from Esterhazy and Whitewood. The land is completely fenced with four wire barbed wire. There is a dugout on the middle of the property with a gravity fed seepage well beside it. There are several spots to consider if you would like to build your dream home. Enjoy the abundance of wildlife roaming property. There is a subdivision in the work with the RM at the RM’s cost to determine the total acres. This is a must-see property that deserves a viewing. Call today for an appointment. Looking across to the wildlife land with excellent hunting opportunities. *Boundaries along the road should have no hunting or trespassing signs on them. *Although SAMA shows approximately 165 acres, once the survey is complete there will be approximately 145 acres.